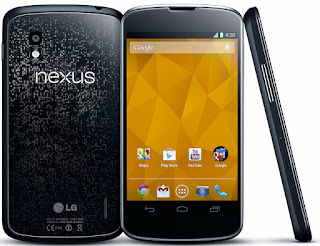 15/01/2013: LG clear up Nexus 4 stock reports, Qualcomm thinks smartwatches are better than AR glasses! Plus much more! LG reply to the Nexus 4 reports! So there you have it, LG are manufacturing them as they expect, but the device is just proving to be insanely popular! We tweeted out yesterday that there is stock available on Virgin Mobile in the UK and there are some other outlets, like T-Mobile USA and Phones4U! Qualcomm does think Google Glass is the way forward: They'll vote for smart watches instead! At the moment 'connected devices' is a buzz phrase. People want everything to display your latest emails, texts, IM's, social networks and all the information needs to be in one place. Constantly checking your phone isn't convenient enough for our busy lives so people are trying to come up with the best solution for this. Some think the future is wearable glasses, which is useful if you wear them normally, but Qualcomm have a different opinion. "I spent a lot of time on glasses at one point and the issue for me is that the ones that were very immersive I would get a headache from." "More focused on things like smart watches - always-on display on your wrist - those kinds of ideas as opposed to glass... [That's not to say we won't] support the partners working on glass too, it’s just our focus right now is more on the other stuff." So devices like Pebble and Sony's Smartwatch (and dare we say their LiveView would fall into this category too) are what Qualcomm has in mind! We know what he means with this argument, the interactive glasses are very distracting (Zeal's Goggle's are very distracting if you're skiing) and smartwatches do seem to be very useful! What do you think is the future? Let us know in the comments below, but bear in mind that these sorts of things might pale into insignificance with things like Samsung's flexible displays and Yotaphone's come to prominence! The Android 4.1.2 Jelly Bean update for the original Galaxy Note is hitting at the moment! The update is live in Poland, Samsung's normal test bed and we expect it will roll out across the continent soon after, assuming there are no hiccups! Sony will make a PlayStation 4 announcement at E3 in either June “or earlier in May” this year! This news comes from Sony vice president of Home Entertainment, Hiroshi Sakamoto. This would announce the next gen console before Microsoft despite Sony having release their PS3 two years after the launch of the Xbox 360! It seems this time the consoles will be going head to head! Sony will not be including their infamous Timescape app with the Xperia Z, instead they'll rely on other features like 'Socialife' and the other apps on offer for Android devices! LG's Optimus G is currently receiving an update to Android 4.1 Jelly Bean! Android's Google Now app will now give you the option to use virtual boarding passes! Google Now will automatically pull down information like flight number, gate number, seat number departure times and weather in your destination without you having to manually request it! Google will provide virtual boarding passes in the future with select airlines but the feature isn't live at the moment! In case you haven't heard the UK high street store, HMV, is currently in administration. The firm is no longer accepting gift cards and 4,500 staff will face losing their jobs unless a buyer can be found in the next few days! Dell's share price has rocketed over the last few days after rumours that the company will be privatising itself! Their shares are currently up 15%! And finally, we've got a video demo of Blackberry's upcoming Z10 handset. This will be RIM's full touch device and it should be a relatively popular device if everything is well and good! We now have confirmed specs too! There's a 4.2" screen with a resolution of slightly more than 720p, a 1.5Ghz dual-core A9 processor, 2GB of RAM and 16GB of storage which will be MicroSD expandable! Check out the video below and let us know whether you're excited for BB10! Everything from the BB10 announcement! Should we be worried about mobile data slowdown? IDC show off mobile sales numbers for Q4 2012! Nokia has a better Q4! Can't fix 2012 as a whole! BB10: What we've got to look forward to! CES 2013: The Pebble Smartwatch gets demoed! CES 2013: Qualcomm show off revamped processors! CES 2013: Toshiba refresh their computer line up! CES 2013: Vizio announce new phones and tablets! CES 2013: Alcatel and their tablets! CES 2013: A summary of Nvidia's keynote! SuperSpeed USB: Transfer at 10Gbps! A first glimpse of the Sony Xperia Z! Canonical announce the Ubuntu Phone OS!